Perfect those broken manicure tips with just a tea bag. Make sure you cut it close to the length and width of the break in your nail. Add a drop of glue with an orange wooden stick over the part that’s broken. Dab the spot of glue to set it. Step 3 – Use tweezers to set the tea bag in place. Place the teabag piece over the break, then let it dry. 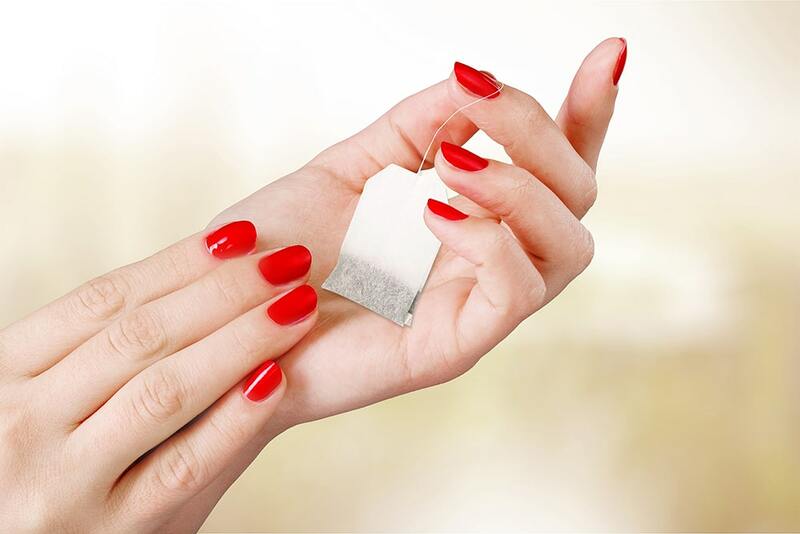 These five simple steps with a tea bag, guarantee that your manicure tips are back to perfection. If this procedure doesn’t work to satisfaction, then it’s time to visit a salon. Every beauty mishap has a solution and there’s nothing relaxing than getting your manicure tips perfected. Once you’ve got your tips back, it’s time for a splash of nail art or just a coat of your favorite shade. To book an appointment, visit: www.justflauntsalon.com and have your manicure tips perfected like never before. Let’s get real here. Who doesn’t love well groomed and shiny tipped nails? Everyone, of course! So even if your nail does break, then worry not. Follow these steps and get your manicure tips game back on point. Using a buffer or nail file, smooth out the surface of the nail. Step 5 – Cover the base coat and apply colour on top. Once your nails are buffed to smoothness, apply a base coat. Pedicures and Men Go Together Too! Shoes don’t always enclose and protect your feet. There’s always the risk of exposing them to society, especially when you’re wearing flip flops or sandles. And think of the horrors then! What if you walk around a beach and your feet look ugly and unhealthy? Do you think you’re too manly to get a pedicures? Think again. We give you five reasons to why getting a pedicure is extremely easy, whether you’re a man or a woman. Feet are extremely vulnerable. They’re prone to getting infected under the toenails and the amount of dirt that accumulates becomes very hard to get rid of. Pedicures help in getting rid of the extra dirt and debris, making sure that your feet are clean and healthy always. Pedicures ensure that your toenails are enhanced. The nails are neatly trimmed and shaped, giving them a more appealing look than they already have. When proper attention isn’t paid to cutting toenails, in growth can happen and this leads to painful feet. All this can be avoided with a good pedicure. Feet odour is a nasty and disgusting thing. Pedicures help in making them smell clean and fresh at all times. It is the best way to take your mind off the daily work stress. Pedicures include an amazing foot massage that will relax your muscles. Who doesn’t need some good quality, alone time? A pedicure is the perfect way to achieve two goals in one go. These reasons are more than enough to go and get a pedicure! Pedicures are essential for men and women, making them an essential pattern of life. At Just Flaunt, we have a wide range of pedicures that leave you with clean and healthy feet. Visit: www.justflaunt.com to book an appointment now.